سنة 1826 (MDCCCXXVI) كانت سنة بسيطة تبدأ يوم الأحد (الرابط يعرض التقويم كاملاً) التقويم الگريگوري، السنة 1826th بعد الميلاد (م)، السنة 826th في الألفية 2، السنة 26th في القرن 19، والسنة 7th في عقد 1820 بين 1583 و 1929 ومع فارق 1826 is 12 يوم عن التقويم اليوليوسي، والذين ظلوا مستخدمين حتى التحول الكامل إلى التقويم الگريگوري في 1929. January 15 – The French newspaper Le Figaro begins publication in Paris, initially as a weekly. February 8 – Unitarian Bernardino Rivadavia becomes the first President of Argentina. University College London is founded, under the name University of London. February 13 – The American Temperance Society is founded. March 10 – João VI, King of Portugal and the former Emperor of Brazil, dies after a short illness that had started six day earlier, after he had been served dinner while visiting Jerónimos Monastery. An investigative autopsy 174 years later will discover that he had been killed by arsenic poisoning. King João's son, Emperor Pedro I of Brazil, sails back to Portugal and briefly reigns as King Pedro IV, before turning over the Portuguese throne to his daughter, Maria. April 1 – Samuel Morey patents an internal combustion engine. April 10 – The Third Siege of Missolonghi ends, with the massacre of thousands of Greek defenders by the Ottoman besiegers. May 28 – Pedro I of Brazil abdicates as King of Portugal. 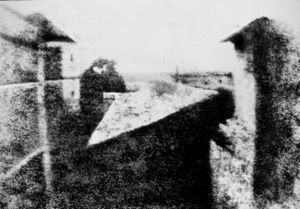 June – Photography: Nicéphore Niépce makes a true photograph. June 14–15 – The Auspicious Incident: Mahmud II, sultan of Ottoman Empire, crushes the last mutiny of janissaries in Istanbul. 21 يونيو - 28 أغسطس - إبراهيم باشا يقود محاولة الغزو المصري لماني، في حرب المورة. June 22 – The Pan-American Congress of Panama tries (unsuccessfully) to unify the republics of the Americas. July – Ludwig van Beethoven puts the finishing touches on the String Quartet in C sharp Minor, Opus 131, the jewel in the crown of his late string quartets. July 4 – Former U.S. Presidents Thomas Jefferson and John Adams both die, on the 50th anniversary of the signing of the United States Declaration of Independence. July 26 – The last auto-da-fé is held in Valencia. August – The town of Crawford Notch, New Hampshire suffers a landslide; those killed include the Willey Family, after whom Mount Willey is named. August 10 – The first Cowes Regatta is held on the Isle of Wight, in the U.K.
August 18 – Explorer Alexander Gordon Laing becomes the first European to reach Timbuktu. September 21 – Construction of the Rideau Canal begins in Canada. October 1 – The Monkland and Kirkintilloch Railway opens in Scotland. October 7 – The first train operates over the Granite Railway in Massachusetts. December 16 - Benjamin W. Edwards rides into Mexican-controlled Nacogdoches, Texas, and declares himself ruler of the Republic of Fredonia. 21 ديسمبر – Fredonian Rebellion: American settlers in تكساس المكسيكية make the first attempt to secede from Mexico, establishing the Republic of Fredonia, which will survive for just over a month. The Eggnog Riot breaks out at the United States Military Academy في وست پوينت، نيويورك during the early morning hours, but is squelched by Christmas chapel service. Major Edmund Lockyer arrives at King George Sound, to take possession of the western part of Australia, establishing a settlement near Albany. The first railway tunnel is built en route between Liverpool and Manchester, in England. The British East India Company colony of the Straits Settlements is established. Aniline is first isolated from the destructive distillation of indigo, by Otto Unverdorben. Ludwig van Beethoven composes the Große Fuge. Mahmud II's council orders the janissaries to drill in the European manner. ^ "Icons, a portrait of England 1820-1840". Archived from the original on September 22, 2007. Retrieved 2007-09-12. ^ Awdry, Christopher (1990). Encyclopaedia of British Railway Companies. Wellingborough: Patrick Stephens Ltd. ISBN 1-85260-049-7. ^ "Granite Railway". Britannica Online Encyclopedia. Retrieved 2008-05-19. ^ "The First Railroad in America". Catskill Archive. Granite City B.P.O.E. - Quincy Lodge No. 943. 1924. Retrieved 2008-05-19.